A technical difference between drawing and oil or acrylic painting is that painters will go over a work repeatedly and build it up in layers. I use this approach too. I tend to build up the tones on the page and dial in the detail towards the finish line. Uh oh. But you can’t draw white. A lot of people don’t realize it until they think about it for a minute. So, things like whiskers, and reflections in eyes, can’t be drawn in after. They have to be worked around, to let the white of the paper show through. Why not use a white pencil? Now, of course, they make “white” pencils; typically wax based, or a type of pastel, or even chalk. These white pencils can have a terrific effect when used in conjunction with charcoal on some off-white or toned paper. They can really make a highlight pop. It holds an edge better than any of the others I’ve tried, but even The General runs to the crumbly. You see, for the vast majority of drawings I do, they don’t work. Graphite is very slick, and the white pencil stuff – whether chalk, wax crayon, pastel or whatever – doesn’t stick to it. Instead of laying down a hep highlight to a steel beam or adding whiskers to a cat, the white stuff just slides over it and stays on the pencil. I have to leave my whites clean, and draw around them. This sounds easy, and makes sense. But it’s very difficult to pull off. Graphite and charcoal are messy. There’re bits and dust everywhere. 1. Oils off of your hands gets on the paper, and any stray particles adhere to the oils, making a “clump” or dark spot, typically in the shape of your fingerprint. 2. The dark bits you’ve worked so hard to develop are now lighter, because they’ve smudged into the light bits you’ve been trying so hard to keep clean. It takes a ton of focus, planning, and good “drawing hygiene” habits. * Don’t touch the paper – leave a border around the page for touching or moving. * Don’t ever, not even once, set food or drink on a level equal to or above the drawing surface. Always keep the water on a tabletop that’s BELOW the level of the drawing. Spills flow down, not up. * Keep your hands away from your face and hair. * Turn 180 degrees away from the drawing when sneezing or coughing. * Be careful of getting your face too close to the paper, as the humidity in your breath can get absorbed and cause wrinkling, almost like watercolors do. Besides the disgusting specter of a bolus of phlegm smack dab in the center of your drawing, even tiny droplets of yuck will compromise the surface of the paper and give you a hard time. That’s a topic worthy of its own post. Oh, wait! I’ve done a post on that…! Yes, scraping. This is where you take something sharp and try and scrape off the graphite. I’ve fooled around with it, but haven’t done it for years. It’s just too risky! Anything that compromises the integrity of the paper is just a bad idea, in my books. In my case, yes. Other artists do it, but again, it’s a Faustian deal. Embossing is taking something sharp, like a needle, and scratching or denting the surface of the paper. Then the pencil tends to skip over the tiny groove to leave the white of the hair or whisker or whatever. I’m just too chicken to play with it on a major piece. You can get the same result by drawing around the white part, so why take the risk of ruining it? It’s a lot of work to draw this way, but there’s no alternative if you want that fine detail and realism. Revel in the finished work. Matting imported from mills in the U.K.
Every print is framed to order and overseen by a National Framing Champion and International People’s Choice Award-Winner. 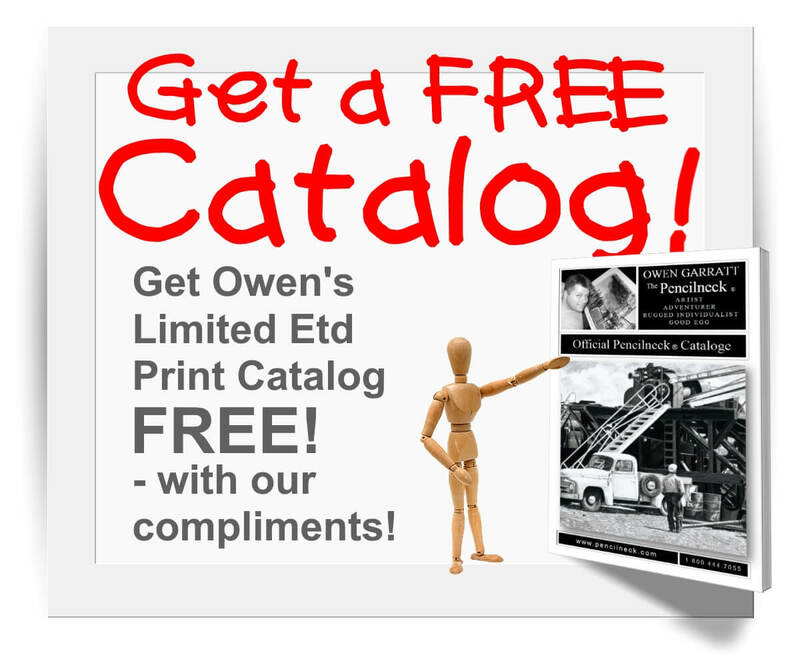 It’s the perfect compliment to Owen’s Limited Edition Prints. 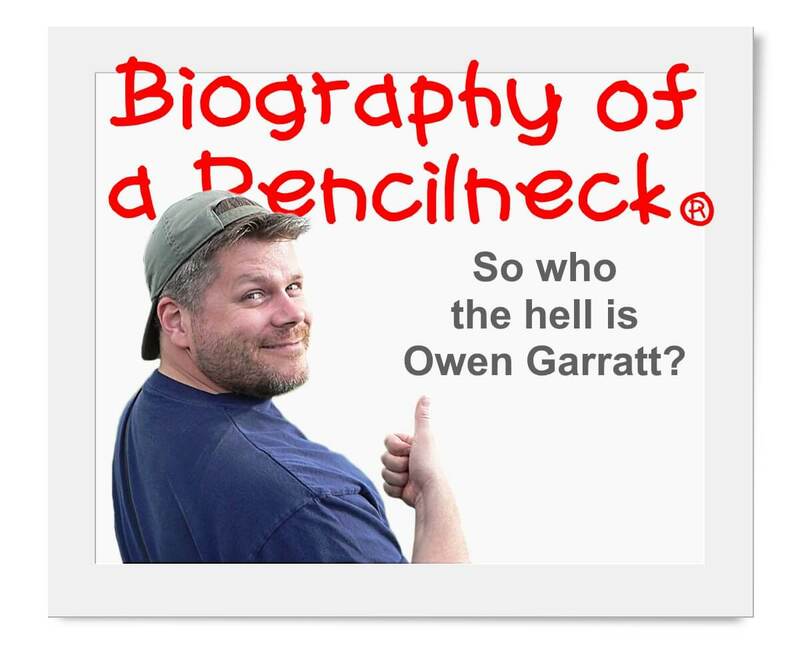 Join the 1000’s who stay current with Owen Garratt’s new releases through the insanely popular Pencilneck ® ‘Inner Circle SuperLetter’! Click here to stay in the loop. 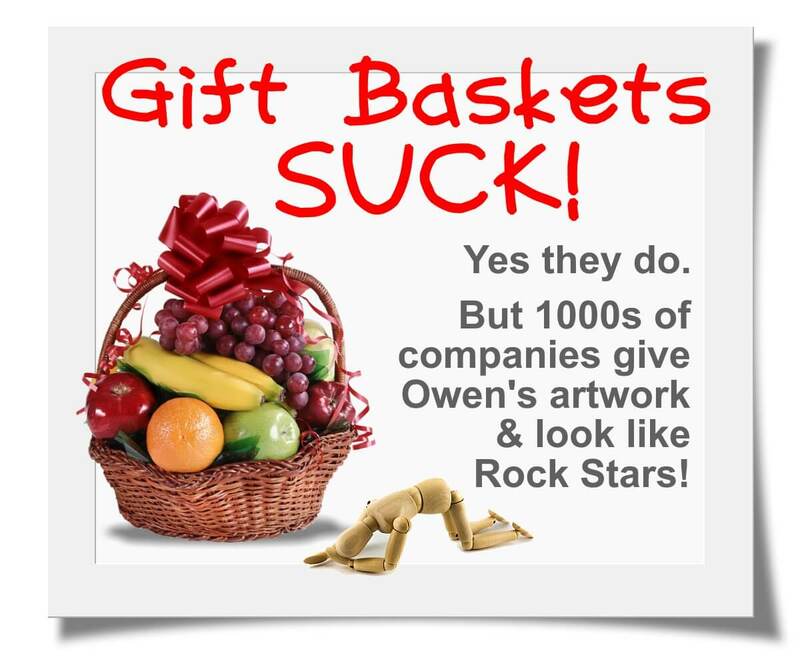 Companies who hire Owen to do an exclusive Limited Edition Print for them use the prints in several ways, but the effect is always the same: people love them. And they love the companies who give them! and they love how they came in under budget. Click here to see how it all works. My reading your writings has made me interested in drawing. Effective writing, indeed! Do you by any chance give online classes? Whataya Know, You've Been Here Over 3 minutes!